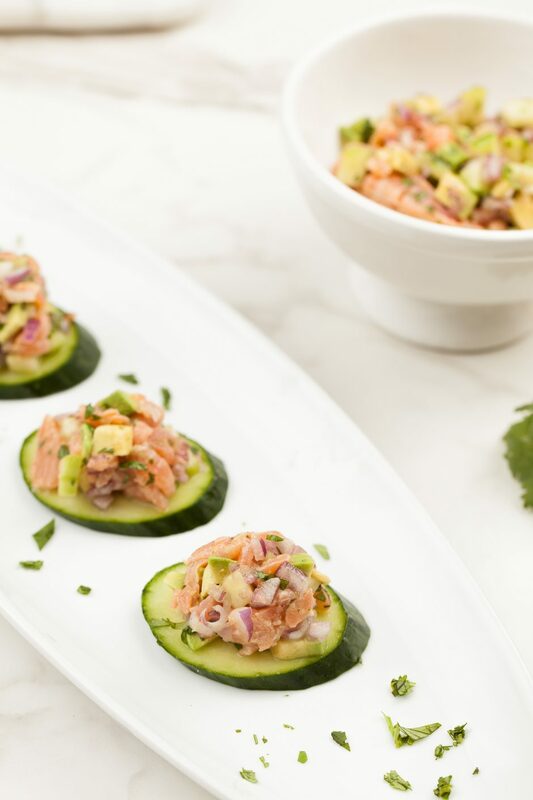 Served spooned on thin slices of English cucumber or red radish, this recipe makes for a refreshing appetizer or hors d’oeuvre. Simple to prepare, but extraordinary to savor. Combine all ingredients except for avocado in a mixing bowl. Fold in avocado, mixing gently. Season to taste with salt, pepper and more juices, if necessary. Cover and chill (can be made up to an hour in advance).